In his opinion, Justice Tingling specifically cited a perceived inequity of the soda rules, which applies to only certain sugared drinks — for instance, beverages with a high milk content would be exempt — and would apply only to some food establishments, like restaurants, but not others, like convenience stores. Bloomberg plans to appeal the ruling (in New York, the deceptively named Supreme Court is actually not the, uh, supreme court). But for today, at least, the most powerful man in New York City isn’t Michael Bloomberg, but a judge with a funny name. Updated, 6:20 p.m.: Appearing before reporters at City Hall just now, Bloomberg said that Judge Milton Tingling’s decision was “clearly in error” (or “erruh” in Bloomberg’s thick accent), and he’s “confident that today’s decision will ultimately be reversed.” Hizzoner cast the battle over the legality of certain large sugary drinks as a moral struggle. 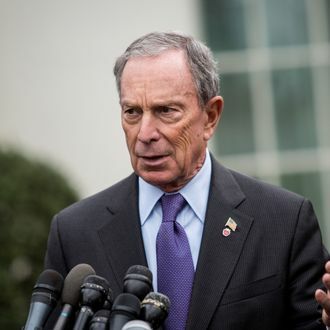 “It’s not enough to talk, and it’s not enough to hope,” Bloomberg said. “We have a responsibility as human beings to do something, to save each other.” That has certainly been Bloomberg’s philosophy as mayor.